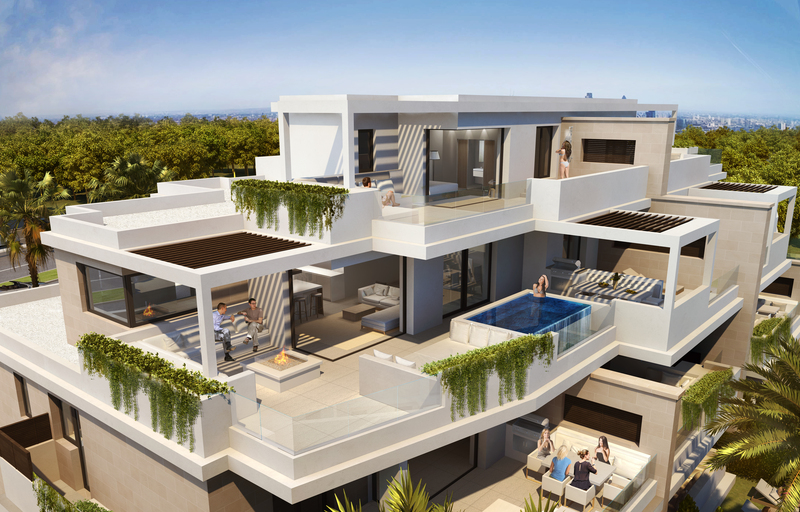 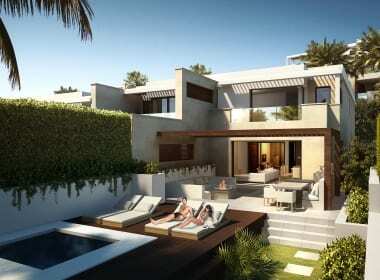 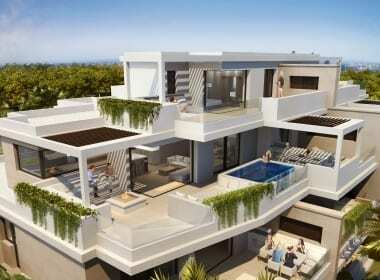 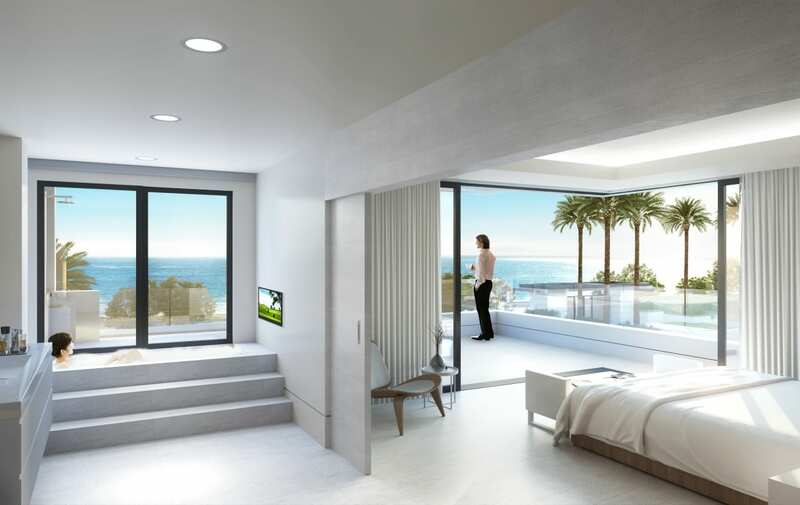 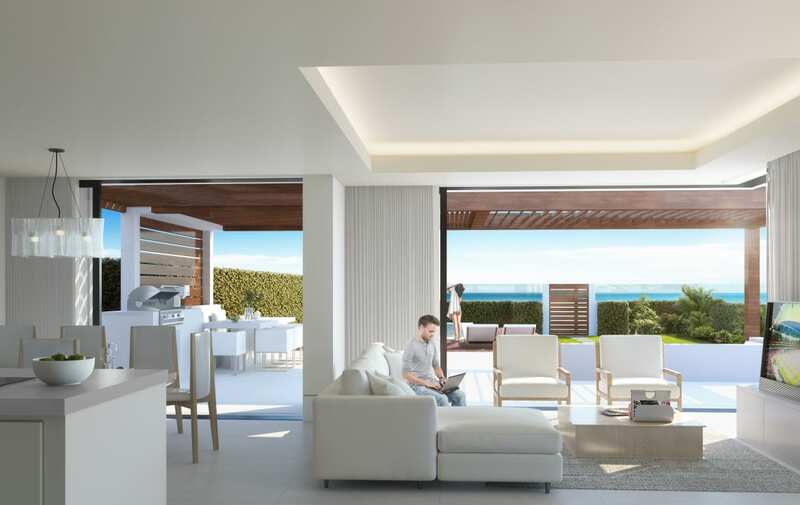 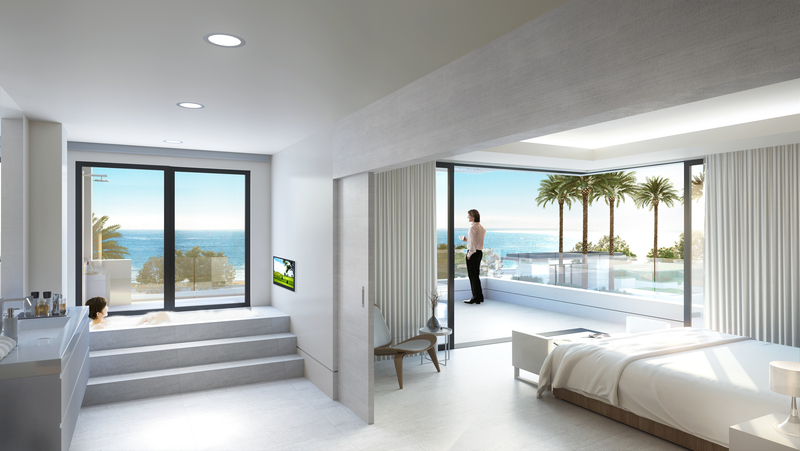 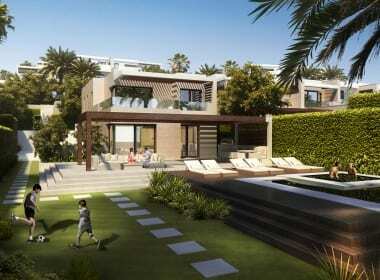 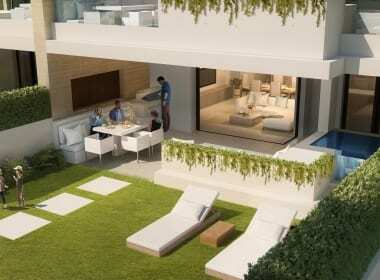 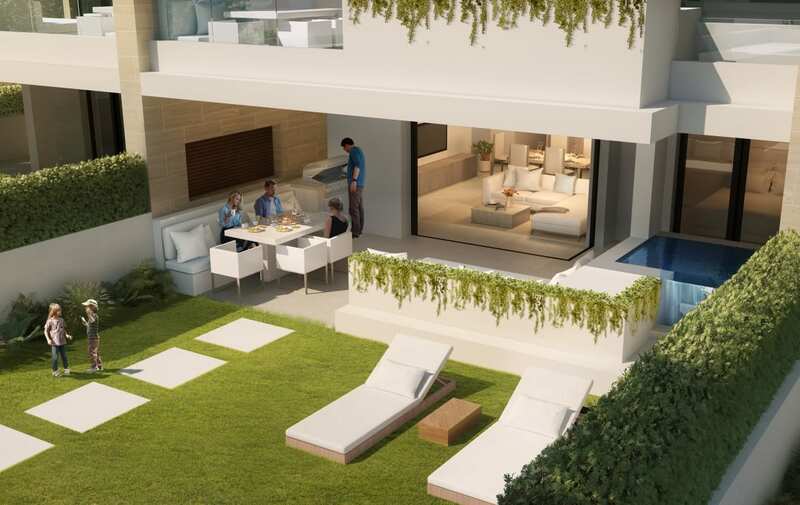 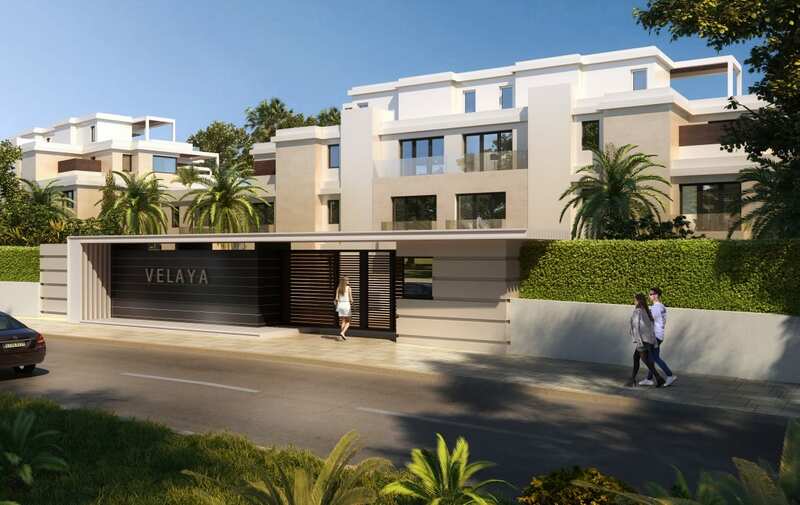 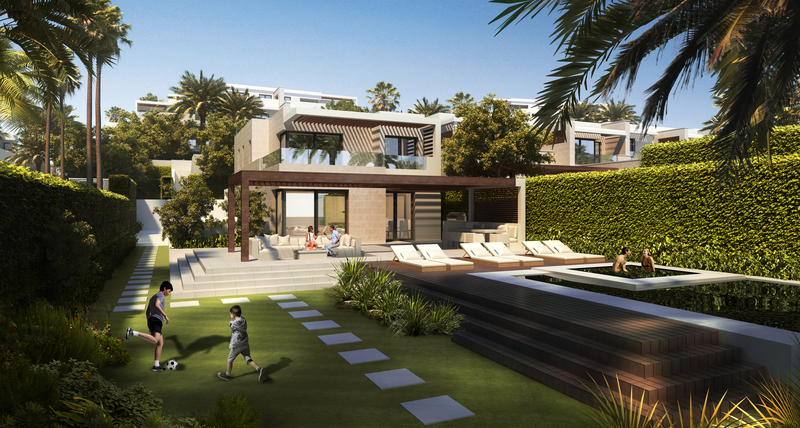 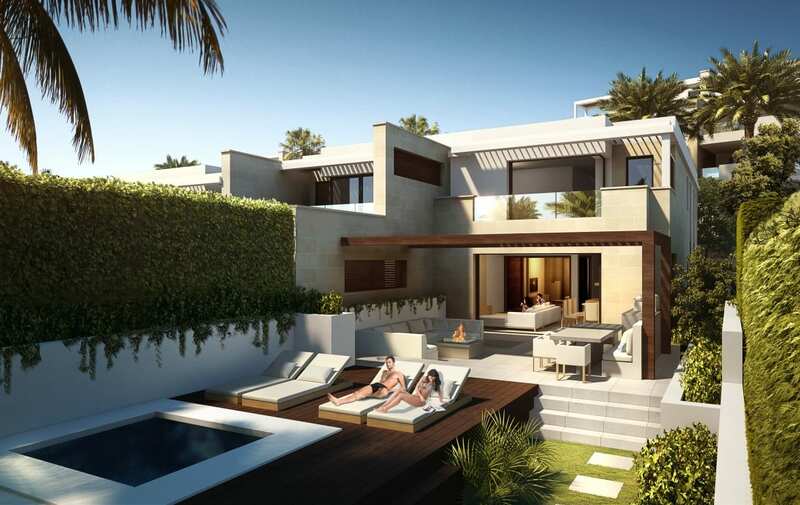 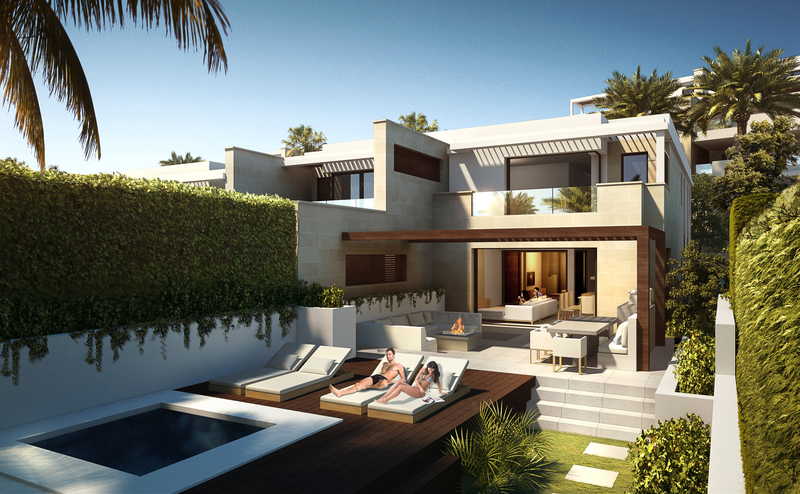 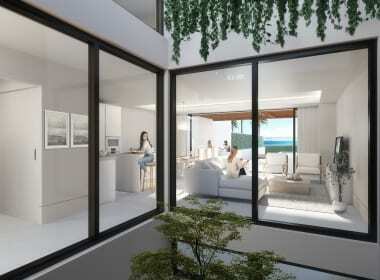 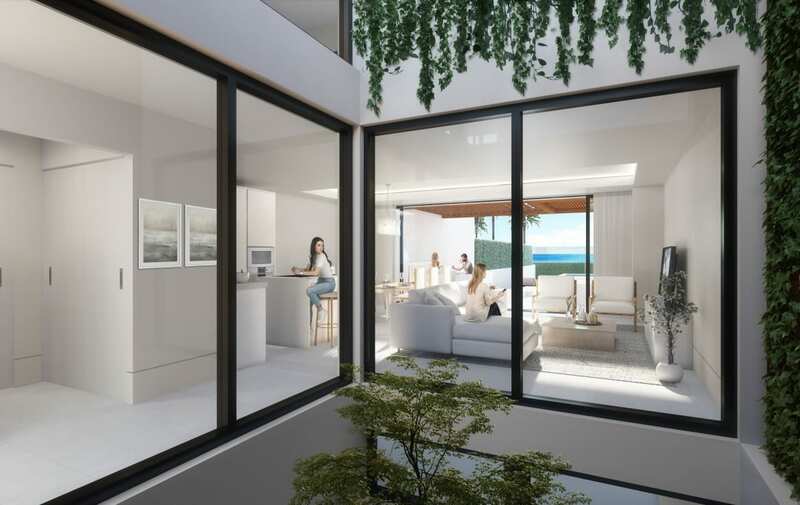 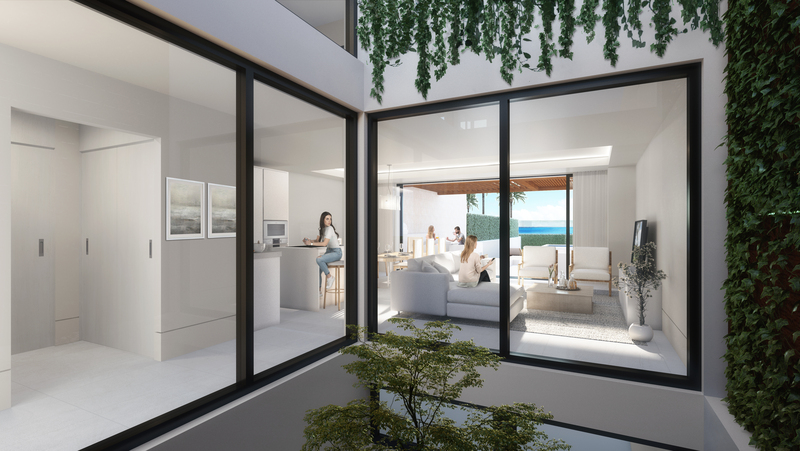 Callow Estates are proud to present VELAYA, an exclusive frontline beach residential development on the New Golden Mile, within 10-12 min drive from the famous Puerto Banús. 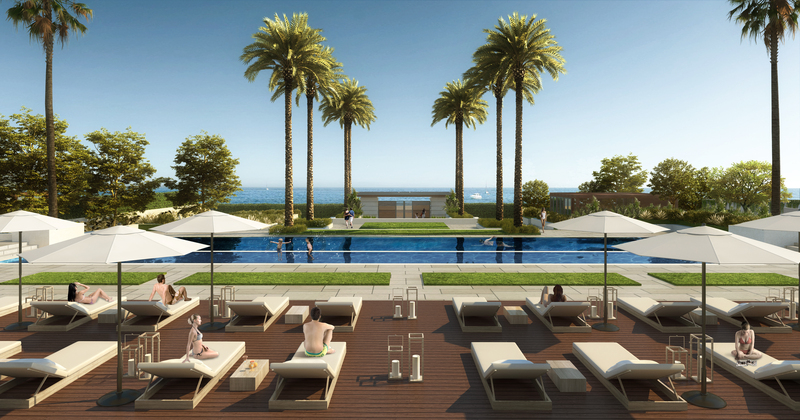 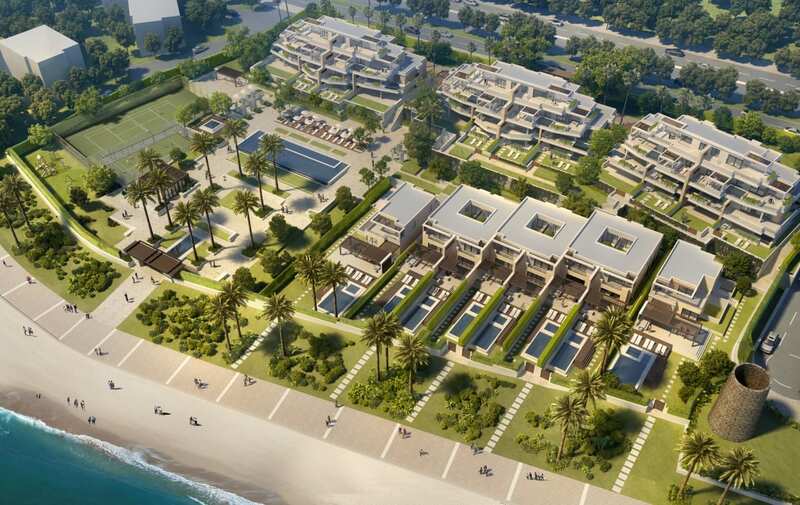 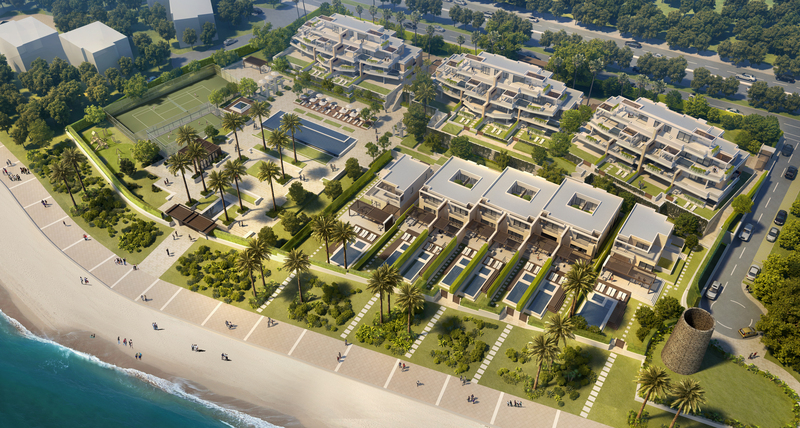 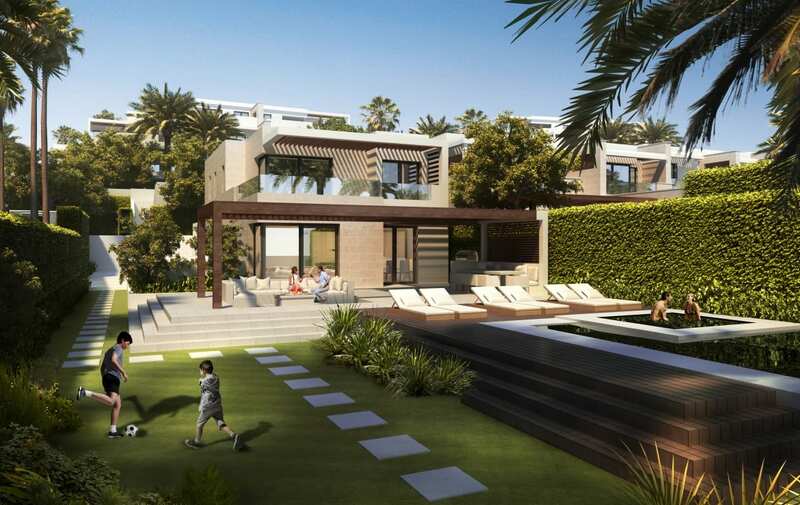 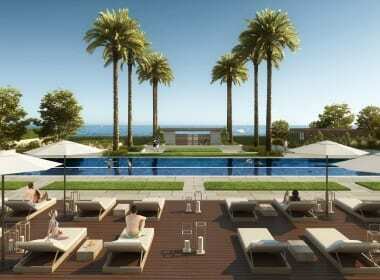 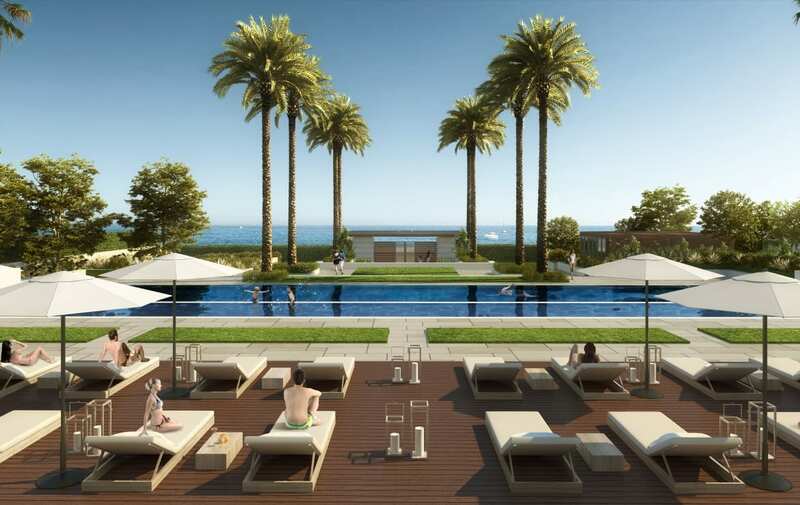 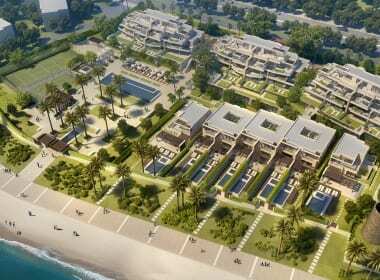 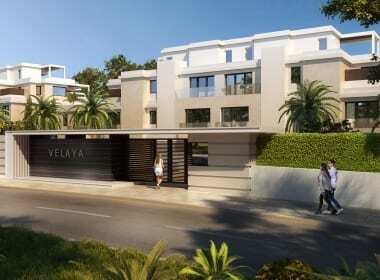 With its prime location on the Mediterranean seafront, small community of only 38 high-end properties and its complete collection of onsite amenities, VELAYA is set out to be a unique project for the area. 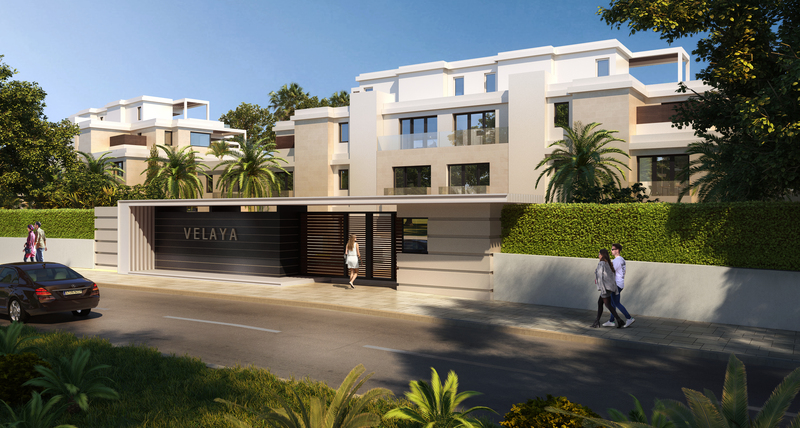 VELAYA will be built to the highest standards in a modern timeless design, with a neutral colour palette and using only high-quality materials for fitting and finishes. 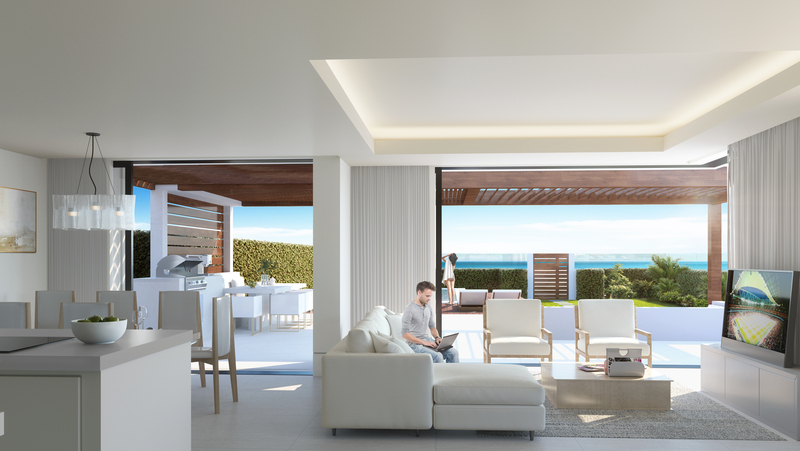 Infinity flooring and amazing full height cavity sliding windows create a seamless transition between indoor and outdoor living. 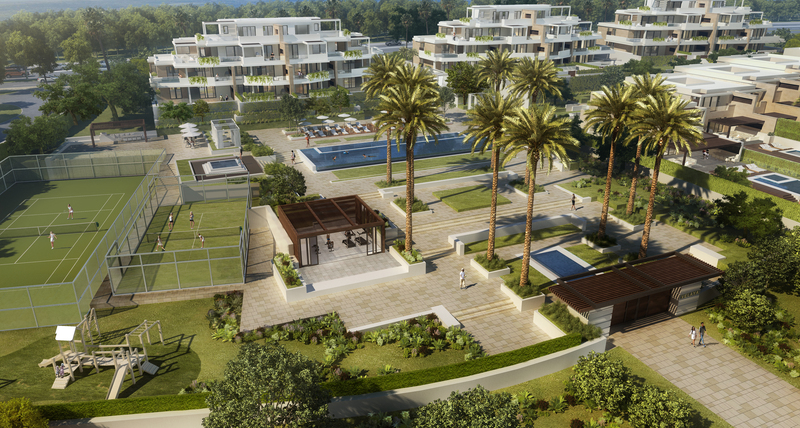 VELAYA is a gated complex with 24h security, landscaped gardens with impressive water features and direct access to the beach. 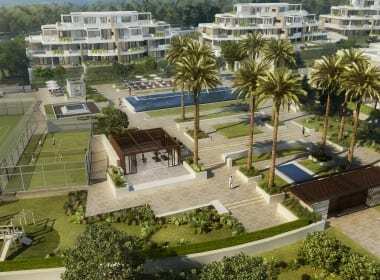 In VELAYA there is an exterior all year long heated infinity pool, swimming pool for children, heated jacuzzi, pool deck with sunbeds and oversized chill-out beds, all offering stunning sea views. 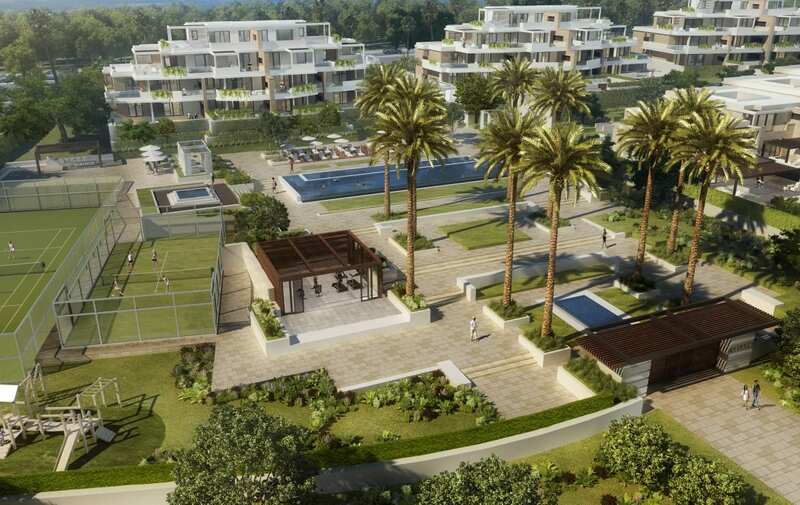 As sports is an important part of the healthy Mediterranean lifestyle, in VELAYA there is a tennis court, paddle tennis court and open cardio gym with sea views.